My Carbide lamp arrived today and boy is it a bit bigger than I originally thought and most definitely not to be worn on your head! This is actually really good though as I wanted it for lighting rather than navigating. I have checked it out and the drip is good, the gas way isn't obstructed and the O ring is intact. One thing it doesn't have is a reflector and I was wondering since Im going to be using it for general illumination should I bother trying to knock a reflector up or should I just leave it as it is? Just wish the bloody carbide would hurry up and arrive! Information - using a carbide lamp. 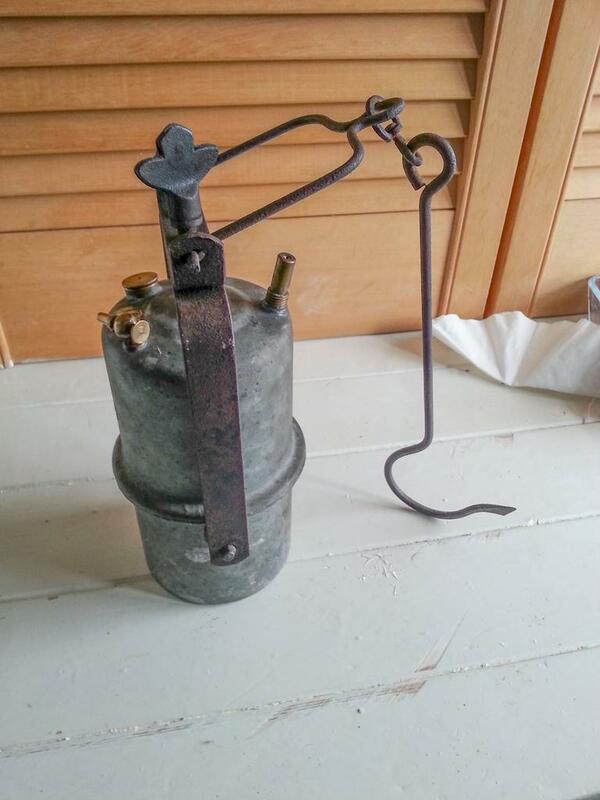 Information - FAQ acetylene (Carbide) gas lamps.